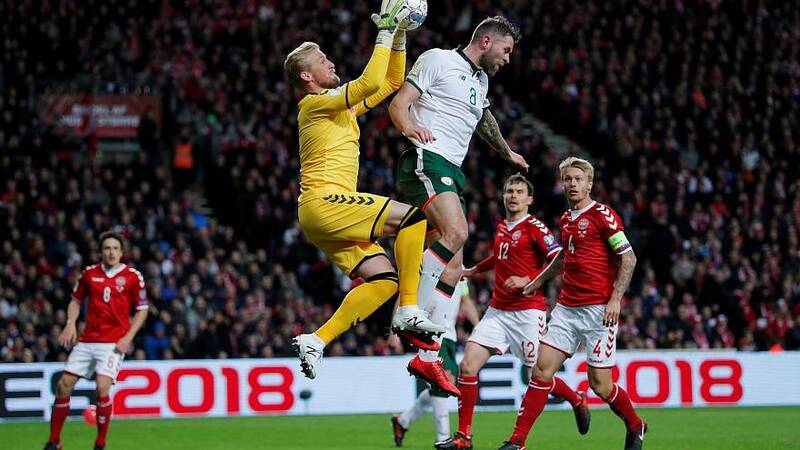 The Republic of Ireland’s hopes of qualifying for their first World Cup since 2002 were given a boost as they held Denmark to a goalless draw in Copenhagen. Despite a few first half chances, neither team were able to get the better of their opponents. Eyes now turn to Dublin for the second leg decider on Tuesday. Martin O’Neill’s well-organised squad will determine their World Cup fate at home and with a full squad as none of the eight Irish players who started the match on a yellow card received another one. Midfielder David Meyler, who was forced to sit out the match in Copenhagen, will return from suspension, giving the Republic of Ireland a boost that may clinch them victory. Elsewhere, Sweden shocked Italy in Solna claiming a 1-0 victory over the four-time champions who have not failed to qualify for the tournament since 1958. Meanwhile Greece were soundly beaten 4-1 by Croatia in Zagreb, and Northern Irish hopes of a first World Cup finals since 1986 took a blow when they lost to Switzerland in Belfast. How much is the two-star French football jersey really worth?